ĐẮK NÔNG — A woman in the central province of Đắk Nông has been fined VNĐ10 million (US$430) for posting fake news about a swine disease outbreak in the area. 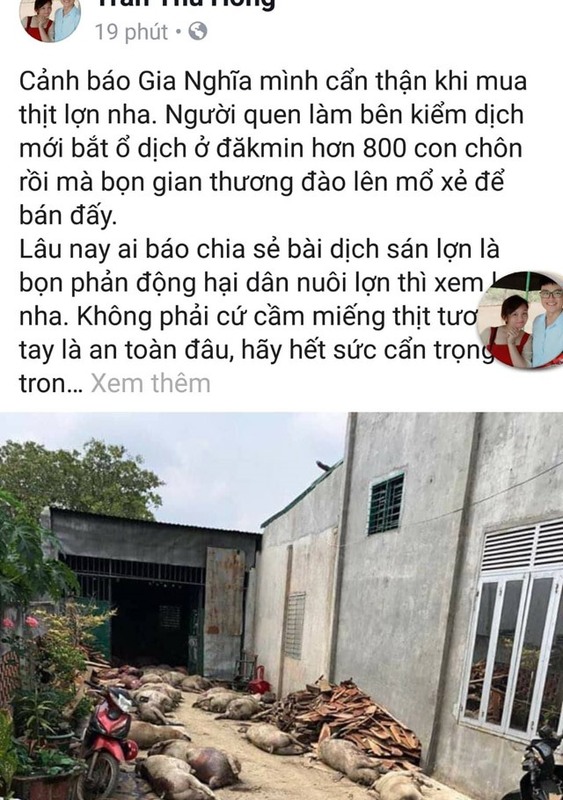 On Sunday, Trần Thị Thu Hồng, 29, a resident of Gia Nghĩa Town, posted on her Facebook account “Trần Thu Hồng”, that authorities had detected an outbreak in Đắk Mil District which had affected 800 pigs. Hồng said the pigs were culled and buried but then unearthed for sale. The fake news immediately drew public concerns, forcing local authorities to investigate. On Wednesday, Quách Công Ban, chief inspector of the provincial Department of Information and Communications, said he had decided to fine Hồng. He said Hồng’s action had incited public anxiety and badly affected the husbandry industry.